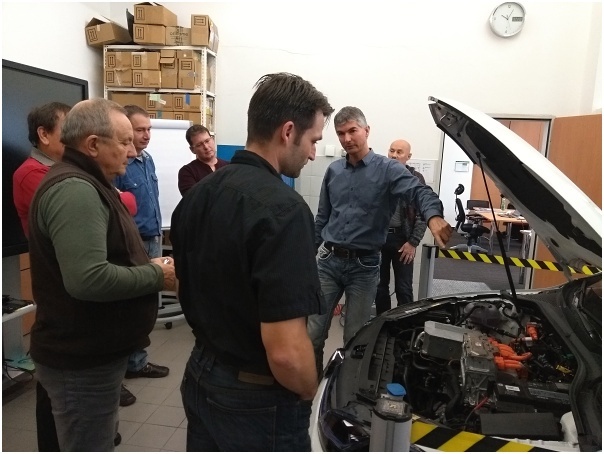 On November 22 and 23, 2017, a technical training introducing the basics of Electromobility to the teachers of secondary vocational automotive schools Holice (Czech Republic) and Jana Jonasa (Slovakia), has been organized by the State Institute for Vocational Education and Training Slovakia and by Porsche Slovakia within the Green Wheels Project. 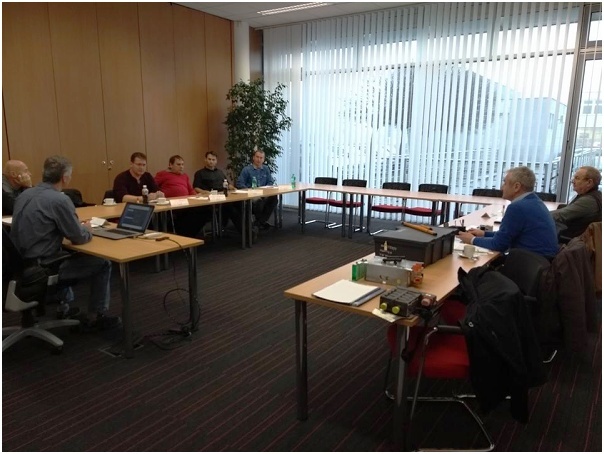 The training, entitled e-GOLF Introduction of vehicle and test drives, fully corresponded with the first round of released Worksheets in a Green Wheels Project, and covered extensive knowledge related to the basic technical data of hybrid and electric vehicles, present on our market, history of Electromobiles, followed by specific knowledge on Car Decking, Power transfer, Gear unit, Driver assistants, Heating and other components such as Charger or Charging connectors. Special focus has been laid down on security rules on approaching and servicing electric vehicles, in particular related to the High -Voltage System and High -Voltage Battery. All the theory has been demonstrated in practice at the sample e-GOLF vehicle, which has been much appreciated by the teachers, who have very rare opportunities meeting physically, in their work environment, real electric or hybrid vehicle. The experiences from the training inherently contributed to the broadening of their theoretical knowledge in a field of hybrid and electric vehicles and equipped them with practical experiences, which facilitate their teaching process and the transfer of knowledge to their students. 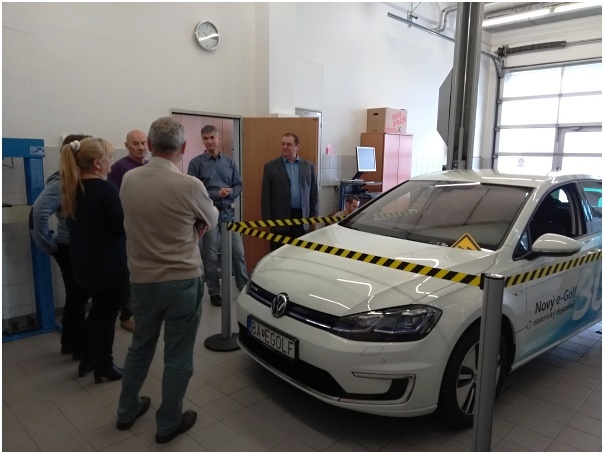 The final part of training has been dedicated to the test drives, where each participant, individually with the assistance could test and drive e-GOLF vehicle in Bratislava.